Does the Second Amendment Only Apply to White People? After learning that Los Angeles police shot and killed Ezell Ford Monday night, I spent a good deal of time Tuesday night and Wednesday morning trying to find out if the victim was unarmed. Ford was a 25-year-old black man (pictured above) who had reportedly suffered from mental illness. The official police statement online never mentioned if Ford had a weapon when he was killed. Although several media organizations reported he was unarmed, I could find no evidence from LAPD or the family to corroborate that claim. I wanted to determine if Ford should be added to the tragic list of unarmed African Americans who had been killed recently from Michael Brown to Renisha McBride, from Trayvon Martin to Jordan Davis, and from Oscar Grant to Eric Garner. Some were killed by police. Some were killed by private citizens. All were unarmed. Then it hit me. Suddenly I realized it didn't matter if he had a gun. In the eyes of America, he had something more dangerous than a gun: his black skin. Yes, Ezell Ford was suspicious, in part, because he was black. That's why unarmed black people continue to be killed. 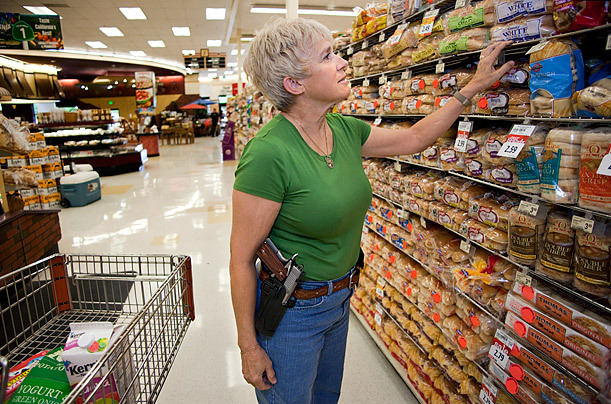 Look online and you'll find pictures of white people proudly carrying guns into churches, bars, and grocery stores thanks to the "open carry" laws passed in nearly every state recently. Black people don't have that right. When a white teenager named Steve Lohner was stopped by the police last month and refused to show his ID after carrying a loaded shotgun on the streets of Aurora, Colorado (the same city where a mass murderer killed 12 people and injured 70 others in a packed movie theater in July 2012), the teen walked away with nothing but a citation. But when a 22-year-old black kid named John Crawford picked up a mere BB gun in a Walmart store in Dayton, Ohio last week, customers called the police, who then shot and killed him. Here lies a racial disparity that's difficult for honest people to ignore. How can black people openly carry a real gun when we can't even pick up a BB gun in a store without arousing suspicion? The answer in America is that the Second Amendment doesn't really apply to black people. Consider this. In the hours since the protests began in Ferguson, Missouri, gun sales spiked in the St. Louis area. It seems some whites are scared to death of violent black people, even though the only person who's been killed in the past week of turmoil in St. Louis was 18-year-old Michael Brown. Imagine what might happen if black people started buying up scores of weapons at gun stores and posting pictures of ourselves carrying them on the streets to protect ourselves? We don't have to wonder. When the Black Panthers did this in the 1960s, California's Republican Governor Ronald Reagan, the patron saint of white conservatives, signed a law called the Mulford Act which prohibited the carrying of firearms on your person, in a vehicle, or in any public place or street. 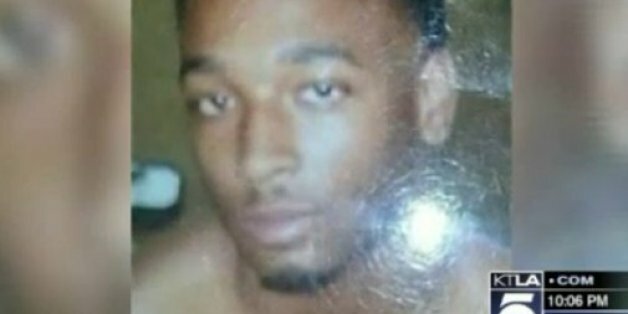 So does it really matter if Ezell Ford had a gun on him when he was killed? Perhaps it allows his defenders to maintain some sense of moral high ground, but it does not change the problem with race in our country. In America, a black kid with a bag of Skittles is far more "suspicious" than a white man carrying an assault rifle. That's why studies have shown that police are more likely to shoot unarmed black suspects than unarmed white ones. A white man with a gun is assumed to be a law-abiding patriot, while a black man with a gun is assumed to be a lawless thug.. When a black man's exercise of his constitutional right stamps him with an instant presumption of guilt, he understands the Second Amendment isn't designed to protect him. But if white Americans want blacks to respect the law, then they must understand how pervasive racial disparities undermine confidence in our laws and our criminal justice system. If the public conversation about Michael Brown, Ezell Ford, Eric Garner, Renisha McBride, Trayvon Martin, and other victims does nothing else, I hope it strikes another nail in the coffin of the delusion of colorblindness in America. Until white people finally acknowledge the persistence and the depth of their own conscious and subconscious racial biases and assumptions, unarmed black people will continue to die from their mistakes.